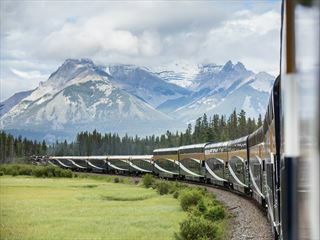 Lake Louise is surrounded by protected wilderness and is one of the amazing highlights of the Rocky Mountaineer tour, an emerald lake fed by ancient glaciers and supported by stark, snow-covered mountains. 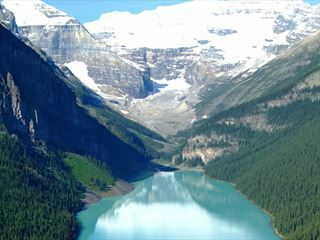 Lake Louise holidays are popular all year round, being a world famous ski resort and is a great spot for hiking, kayaking, fishing and mountain biking in summer, due to its long hours of daylight. Lake Louise sits near the border with British Columbia and within Banff National Park. 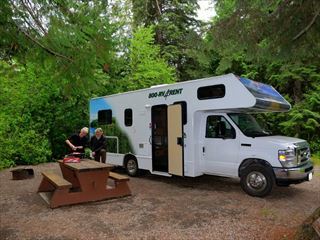 Its position makes it ideal for river white water rafting, hiking, rock climbing and ice climbing. 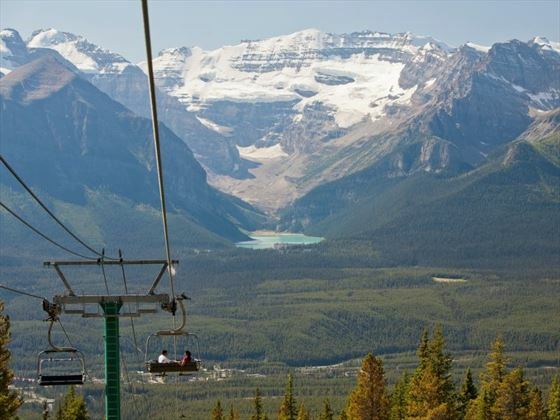 Lake Louise, Alberta sees average summer temperatures of around 20.1°C in July. Winter lows dip to around -20.9°C. 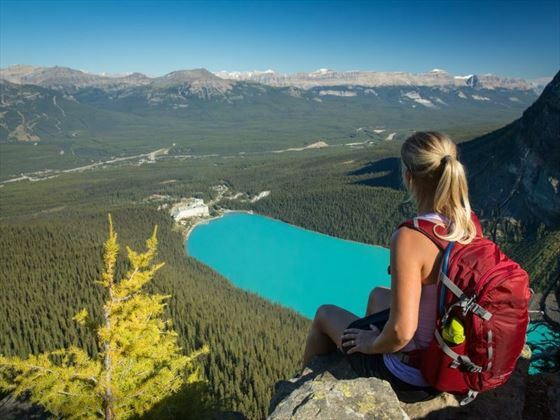 Visiting Lake Louise in 2019? 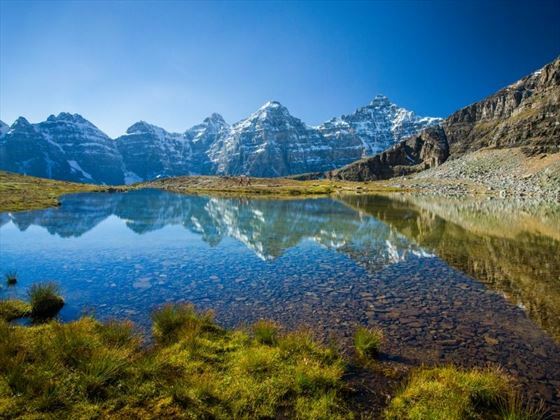 Lake Louise is popularly regarded as the quintessential Canadian mountain resort, tucked away from the world in a large, forest-lined valley overlooked by snow-covered mountain peaks. 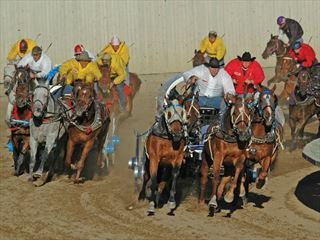 Lake Louise is also a popular pony-trekking destination. 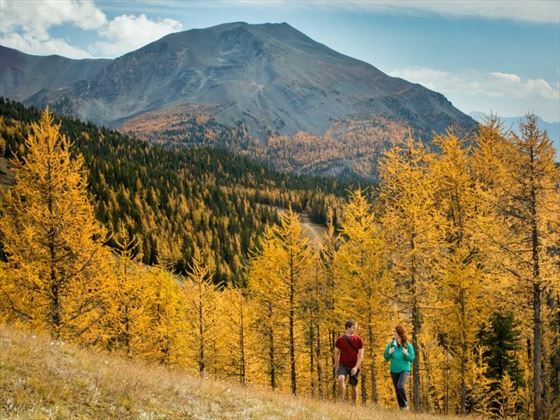 Canadian Sky offers a huge variety of escorted and self-drive or fly-drive touring options to suit everyone, whether you want to take control of your itinerary yourself or sit back and relax in the confidence that it is all being done for you on an escorted tour. 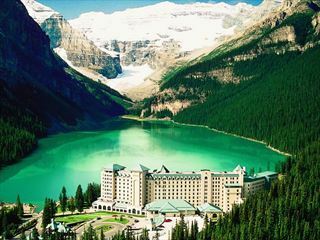 Planning a holiday to Lake Louise? 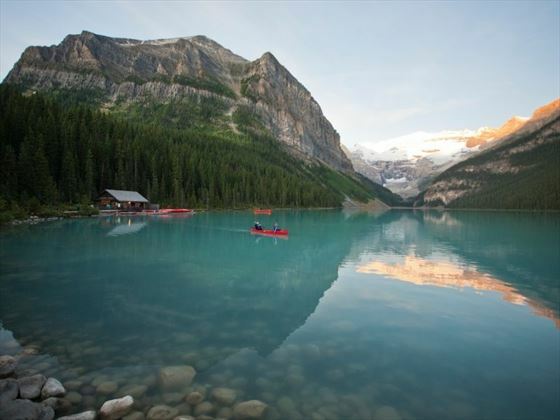 Planning your holidays to Lake Louise? 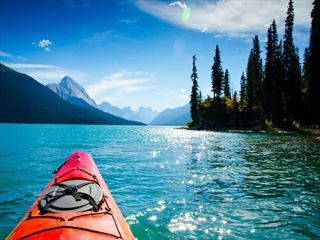 Canadian Sky has the experience to help you plan your perfect holiday. 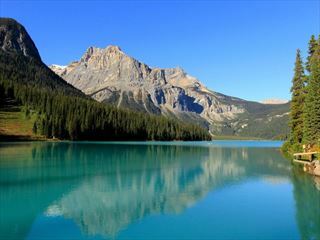 Call our Lake Louise specialists today and make the most of your next holiday. 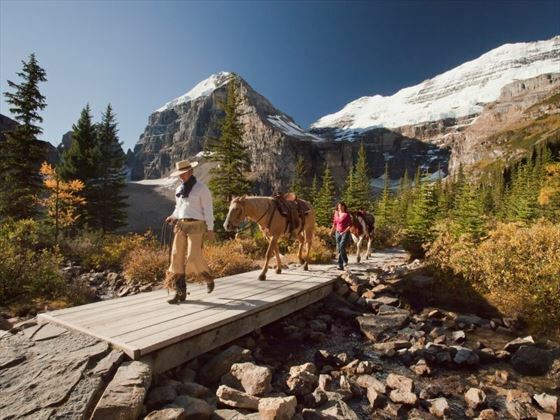 There are a wide variety of things to see and do whilst staying in Lake Louise. 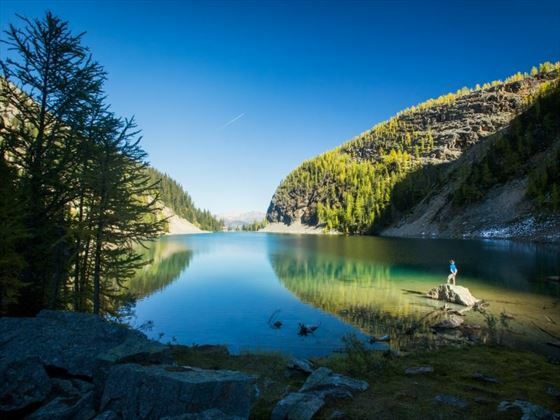 Check out our travel guides for some of the highlights, top tips and travel inspiration from our Canadian Sky Experts, along with some essential information you may need for your holiday. 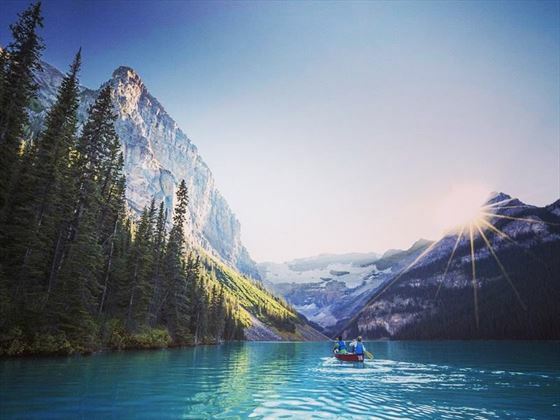 Soaring mountains, lush alpine forest and brilliantly blue waters - its no wonder Lake Louise is one of the most photographed lakes in the world. 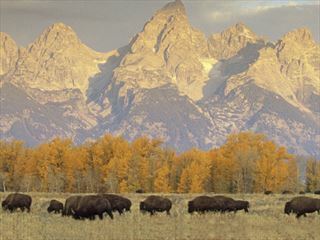 Come find out more about this piece of natural beauty.